DNA Genotek's animal line of products includes simple all-in-one non-invasive kits for the collection, stabilization and transportation of animal DNA samples for genetic analysis (PERFORMAgene) and gut microbiome analysis (PERFORMAbiome•GUT). 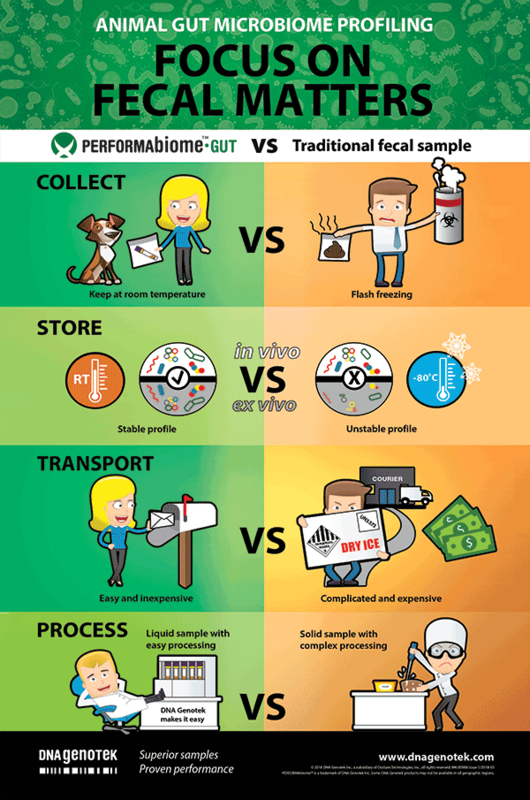 PERFORMAbiome•GUT is a simple all-in-one system for easy collection and stabilization of DNA for animal microbiome profile analysis. Easy collection and stabilization kit for animal gut microbiome DNA analysis. 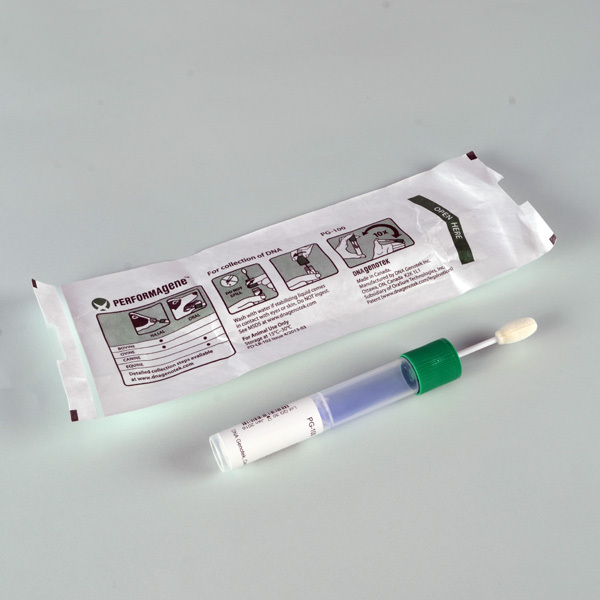 PERFORMAgene is a simple all-in-one non-invasive swab kit for the collection, stabilization and transportation of animal DNA samples. Our animal DNA collection kits offer ease of use and proven reliability across all animal collection environments - be it the barn, the field, the clinic or the home. 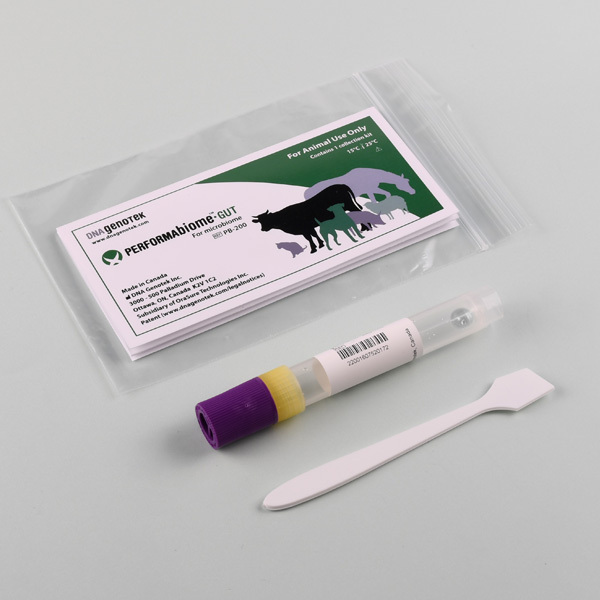 Collect superior DNA samples for animal genetics with the PERFORMAgene swab kit.